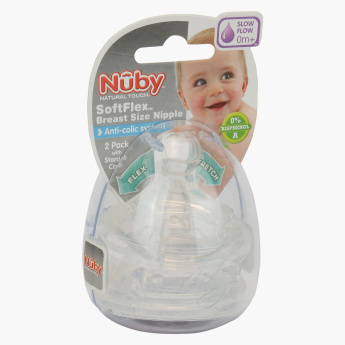 Nuby Wide Neck Slow Flow Teat - Set of 2 | Multicolour | Easy latch-on. 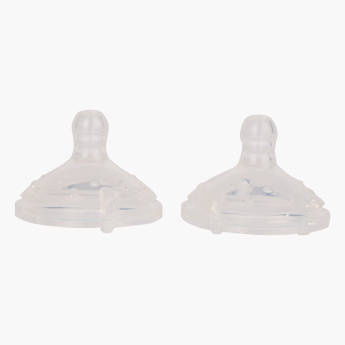 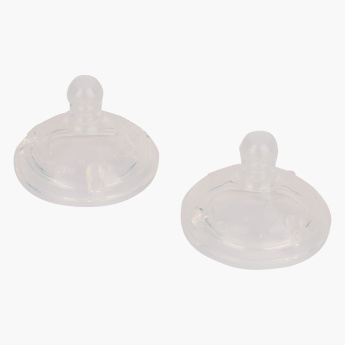 A safe essential for your newborn, this set of two teats is styled to make feeding easy. 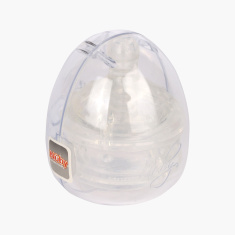 The slow flow teats are made from a durable material and are easy to latch on and drink smoothly from the bottle. Feature 1 : Easy latch-on.